Celebrations, parties and get-togethers are probably the most awaited, especially when it comes to birthdays. People all around, especially youngsters are crazy for birthday celebrations, which nowadays usually starts before the actual birthdate and lasts a week or so. But here, in this case study, we will talk about how happening birthdays have become after social media, particularly Facebook has captured people’s minds. According to the study conducted by Facebook IQ, people check Facebook more frequently on their birthdays: between two and four more sessions compared to an average day. Moreover, people are not just celebrating on the actual day, some people in Europe and the UAE celebrate their birthdays across several days, particularly when it comes to milestone birthdays. People are 1.84 times more likely to celebrate a milestone birthday over several days, and 1.73 times more likely to celebrate with a party compared with non-milestone birthdays. 47% people extend their birthday celebrations rated their birthday 10 out of 10, compared to on average only 25% rating it 10 out of 10. Not only this, with Facebook spreading its roots, digital birthday messages can also be seen all over and in fact are growing year by year. People prefer to receive their birthday wishes through Facebook because it offers the opportunity to react instantly in the form of “feeling blessed, loved or happy”. There are around 150,000 birthday thank you posts every day across the UK, France, the Netherlands, Poland and the United Arab Emirates. Having gone through the above data, let’s see whether people plan their birthday getaways online or offline and when do they begin to plan. It is witnessed that usually birthday event creation on Facebook starts from two weeks before the host’s birthday, with the peak happening four or five days before the actual birthday. Those who extend their birthday celebrations are 3.5 times more likely to select the date of their celebration more than six months in advance, compared to those who do not extend their birthday. Now, wishes done, party done – how can gifts be left behind? Gifts form a big part of birthdays, not only from others but some people even love to self-gift. According to the study, 61% of people say they treat themselves on their own birthday. But the most valued birthday present people want to receive is quality time with loved one. Birthday Targeting: Facebook allows you to target adverts at people with upcoming birthdays and their friends. Digital Party Planning: Since we saw that people are spending their time online but usually don’t make party. Here, offering discounts and other offers can make a difference. Birthweek: Help them make their birthweek even more special by offering them gift experiences that they can share with others. So, give them permission to stretch their celebrations over a couple of days. 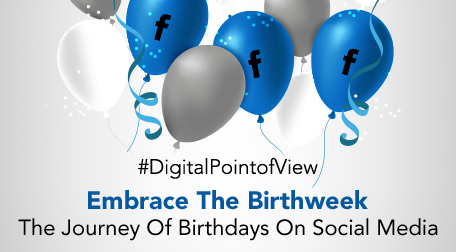 So, it is quite clear that birthdays are a lot more than celebrations, fun and party when it comes to Facebook. 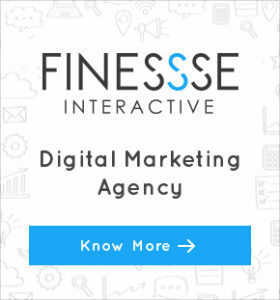 The rise of digital has surely made people go crazy and even more excited for their birthdays, portrayed by pre-birthday, birthday and post-birthday celebrations.